I took this photo at Rancho Carisuva, on the beach facing the Pacific. If you want the perfect sunset in Cabo, you need to go to the Pacific side. Rancho Carisuva, located at Playa Migriño, which is 14 miles north of Cabo San Lucas, along the Pacific Ocean has nailed the location for sunset horseback riding. Rancho Carisuva is a traditional Baja Ranch, complete with horses, cows, donkeys and other animals. They also have ATV tours. The staff is dedicated to giving back to nature and giving riders an off the beaten track experience. As the sun sets into the blue waters of the Pacific, you can explore untouched beaches and stunning ocean views from seaside cliffs. 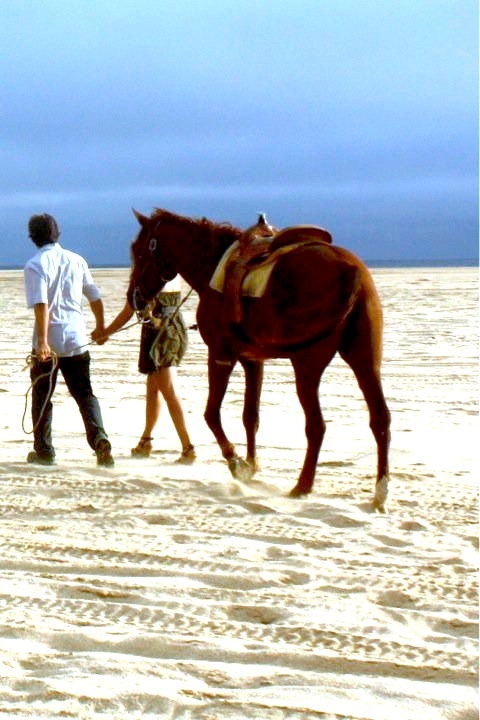 Have you gone horseback riding in Cabo?